Welcome to the September 2018 edition of the First Monday Library Chat. This month we travel to Tuscaloosa and speak with Kate Matheny, Reference Services & Outreach Coordinator for Special Collections at University of Alabama Libraries. The Lupton Collection is a key holding at the University of Alabama Libraries. Could you give us an overview of the collection? 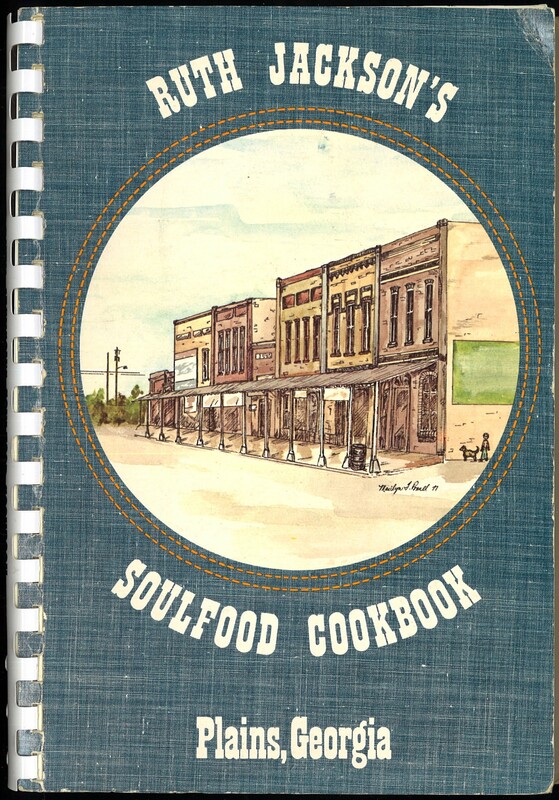 The Lupton Collection documents African American foodways writing, a spectrum that ranges from professionally published cookbooks and food memoirs to recipe collections self-published by community groups or families. The earliest volume is The House Servant’s Directory, published in 1827, and the latest are from the twenty-first century. It’s a collection of over 450 books—which doesn’t sound like a lot, but it very much is. Consider the factors that might prevent such books from being written, especially in the nineteenth century: low literacy rates, a historically improvisational method taught person-to-person, or the pragmatic need for someone working as a cook to safeguard his or her livelihood. 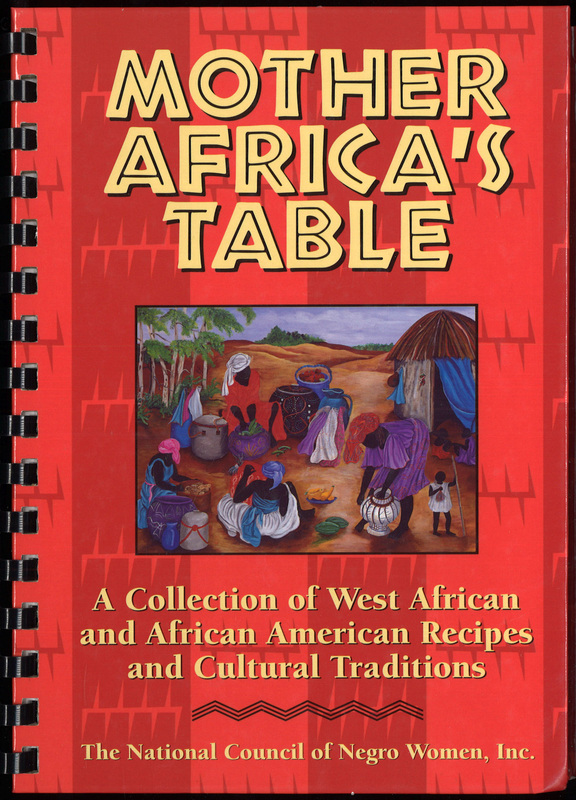 That’s to say nothing of barriers to publishing cookbooks by black authors and the reality that some early works may have simply been lost over time. The collection contains some cookbooks authored by whites, including corporate collections featuring figures like Aunt Jemima and nostalgic works by Southerners purporting to share the recipes of family servants. 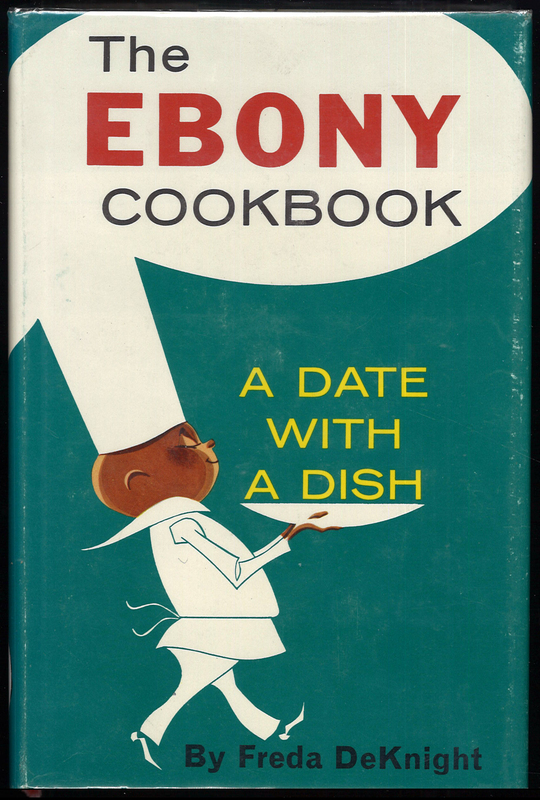 Including these in the collection may seem strange, but for a time these were the only works attempting to set down African American food culture, all while typifying stereotypical portrayals that black cookbook authors were working to combat. But the bulk of the collection is from the mid to late twentieth century, written by African Americans or on their behalf. It’s hard to sum up all the themes that run through the collection, but in many ways they reflect the currents of modern black history. For example, you can see the consequences of the Great Migration as well as the paradigm shift of the Black Pride movement. Two of the biggest recent trends are adjusting traditional soul food to combat health problems like heart disease and diabetes and highlighting the connection to African foodways and diaspora cuisines like Caribbean and Afro-Brazilian. For those of us interested in the history of archives, can you tell us a bit about the Collection founder David Lupton? David Lupton was an academic librarian who became a diligent bibliographer of early African American cookbooks, even after his retirement. According to his wife, Dorothy, his interest in the subject sprang from his purchase of a black-authored cookbook at a flea market and subsequent realization that such items were rare and hard to find. He became passionate about finding a way to document—as well as collect and preserve—these artifacts of African American culture. I think knowing the rationale behind the collection is actually important in understanding how to use it. The Lupton collection is historical and academic, which is a different thing entirely from a personal collection accumulated by a cook. For example, we recently catalogued a large donation of cookbooks belonging to Viola Pearson Ragland, an African American woman from north Alabama. Some of those items overlap with Lupton, but not as many as one might think. 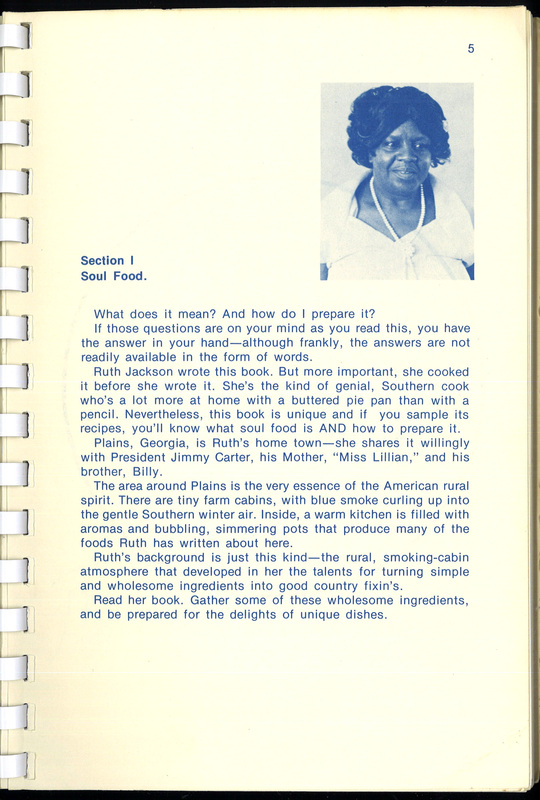 Since they are books she owned and used, the selection tends to be more eclectic, and it’s possible she didn’t need or perhaps want very many works on African American cooking. An academic collection will naturally be more focused, as it is curated for posterity and for study, but it is not as reflective of actual use. These may not be the most “important,” but they are certainly favorites, and they’re pretty representative of what’s compelling about the collection. 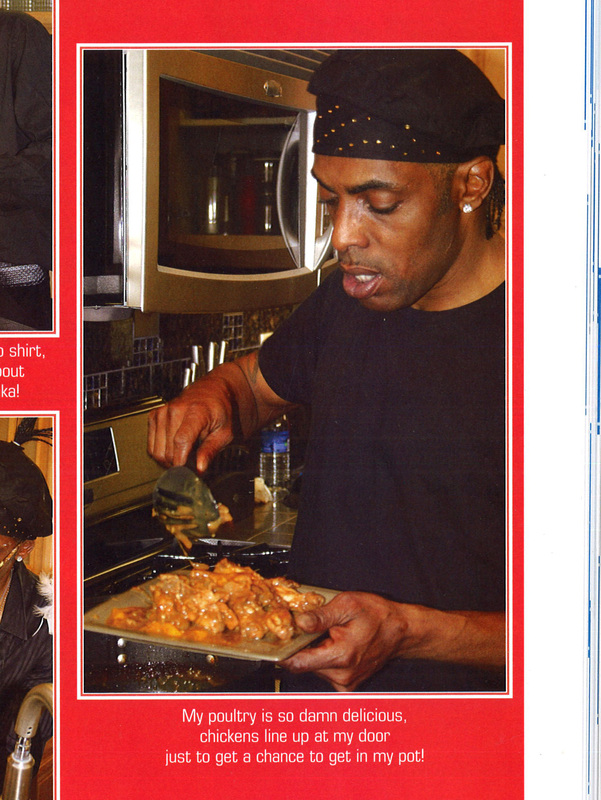 When I teach, I often bring out Cookin’ with Coolio (2009). 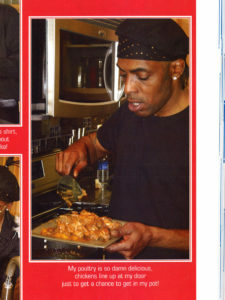 People don’t expect a rapper to have anything to say about cooking, but that’s precisely why I like it. Coolio did collaborate with a chef, but the aim of the cookbook and the tone are all his. He talks about growing up poor in inner city Los Angeles and learning to improvise with the ingredients he could find, including things as simple as canned tuna and white bread. It leads to pragmatic recipes with funny names, like, “Your Ribs Is Too Short to Box with God” and “Really? 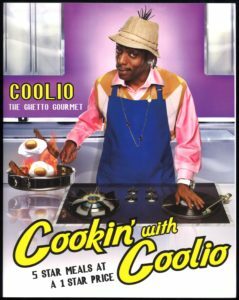 Corn Salad?” The book looks like a joke—on the cover, he calls himself the “Ghetto Gourmet”—but it’s a real cookbook with its own unique personal and cultural perspective. As a teaching tool, it asks us to evaluate kneejerk assumptions and provides a good entry point for a discussion about food and class. This month, we are featuring a Teaching Series here at the Recipes Project. Can you tell us about some of the ways that you’ve used the Lupton Collection in the classroom? What impresses me about teaching with cookbooks in general is how versatile they are. I didn’t set out to become the “cookbook person” at my archive; I just ended up with frequent instruction requests for the Lupton Collection — from half a dozen departments, including English, Anthropology, and History. There are so many things to analyze in a cookbook. The rhetoric of the text and the iconography of the visuals tell some of the story. The organization reveals a lot about the particular cuisine and the cook’s approach to it. The format and level of detail in the directions changes over time and indicates what kind of kitchen facilities the average cook had and who was doing the cooking. Even the ingredients are revealing, giving insight into the foods available at the time and the socioeconomic class of the audience. In my experience, cookbooks also level the playing field for student discussion. Everyone eats, and most people have done some cooking at some point, so cookbooks feel very easy to approach. Deceptively so, I think. Students don’t get intimidated, so it’s easier to engage them in analysis and discussion. The instructor can tie them to complex ideas they’ve been discussing in class, and I can help them develop critical thinking and information literacy skills. To address the Lupton Collection specifically, it’s always interesting for students to see how much of traditional Southern cuisine has its roots in African American cuisine. It opens up an interesting dialogue. Can you offer any tips to help users locate Lupton resources via your catalog, online, or finding aids? We don’t have a formal finding aid for them as such, but this webpage has a comprehensive alphabetical list. 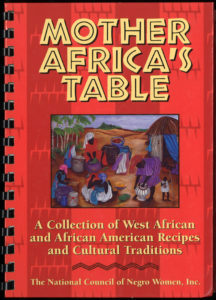 You can also find the cookbooks in a search of our catalogue. If you’re interested Lupton’s bibliography, which also includes items that are not in the collection, it can be found in an appendix to collaborator Doris Witt’s Black Hunger: Food and the Politics of U.S. Identity (Oxford University Press, 1999). However, it is nearly 20 years old, so it doesn’t include one important early work that hadn’t yet been discovered: Malinda Russell‘s Domestic Cook Book: Containing a Careful Selection of Useful Receipts for the Kitchen (Paw Paw, Mich., 1866).